Keep up-to-date on the latest vision-related news and eye care events in our Athens, GA Vision Center. Where do I get eclipse viewers? Best Eye Care Specialist for 2016! 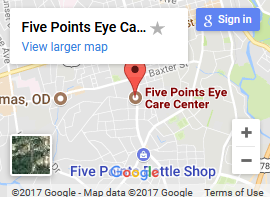 Happy holidays from Five Points Eye Care! It’s Dr. Nadine’s turn as a Notable Alumna!